Pacific Gas and Electric Co. is cutting some 70 IT jobs and sending them to a contractor based in India. This kind of outsourcing has become commonplace in the IT industry. It has been criticized for years, and there is a lot of talk in Washington, D.C., these days about how to slow it down. 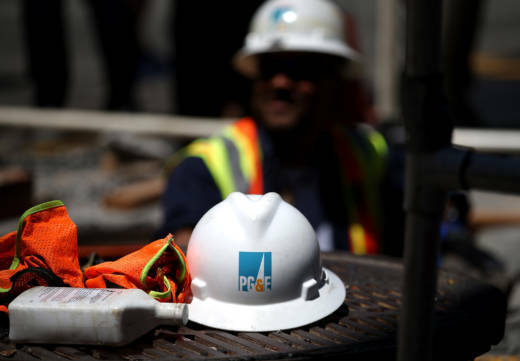 PG&E is sending the jobs overseas as part of a larger restructuring plan to cut costs. The San Francisco Business Times first reported on how the offshoring of jobs to India fits into the plan. “The focus is really on doing the right thing for our customers and the right thing for the business over the long term. That’s what this is about, and it’s what drove the decision,” PG&E spokesman Brian Hertzog said. PG&E workers are training their replacements, some of whom are here in the U.S. on H-1B work visas. Hertzog says the jobs are related to older IT applications that PG&E wants to phase out. The H-1B workers are going to learn the ropes for the IT jobs and then send those tasks to workers in India who are far cheaper. The outsourcing firms used by companies like PG&E to offload IT jobs are mostly based in India and get thousands of H-1B visas for their workers. This shouldn’t happen, Almeida said. The visa is designed for high-skilled workers who can’t be found in the U.S., not people doing routine IT work. Almeida said these outsourcers are abusing the H-1B system and undercutting American workers like those at PG&E. PG&E is far from the first to use a contractor that depends heavily on H-1B visas. Disney has done it. So has Toys R Us, other utilities like Southern California Edison, and recently a public university. UC San Francisco is outsourcing IT jobs right now. The contractor there initially brought in a transition team to understand how the university’s IT systems work -- some of the workers were on H-1B visas. “Nothing has happened that would deter companies from taking this action,” said Daniel Costa, director of immigration law and policy research at the Economic Policy Institute. Costa said there have been attempts to reform the H-1B visa program. The Department of Labor and Department of Justice investigated Southern California Edison for the use of H-1B visas, but neither found wrongdoing. Costa says those findings are disputable, adding that they encourage companies to outsource with the H-1B. There has been a lot of anger about this kind of job loss. It’s a theme that President Trump has tapped into, and he’s signaled he plans to change the H-1B in some way. Members of Congress from both sides have introduced reform bills. Meanwhile, the IT industry and workers are anxiously waiting to see what will happen.